License agreements with vendors usually do not let us continue to provide resources for those who have graduated or are not employed by the college. Luckily, there are legal ways to find articles and software that are still no direct cost to you. 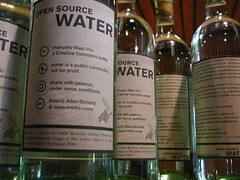 The term Open Source describes software that does not have a subscription cost and can be adapted or built upon by anyone who wishes to do so. Open Access (which is featured in the Post-Graduation Resources tab) refers to journals that use financial models other than subscriptions or article fees, making them free to the reader. Both will be helpful to those who produce content and keep up with their field without having to spend money to do so.